Angela Maria Santana Garcia is 7 years old and in the Second Grade at the public school. 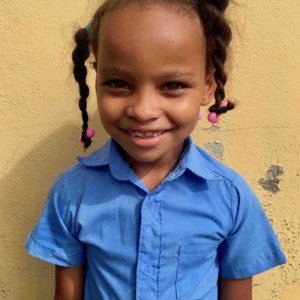 She lives in La Represa with her parents, aunt, and sister. Her father works in the community and her mother stays home. Angela likes to play salon, paint nails, and dance. When she grows up, she wants to be a hairstylist.